Alarms with state or condition-based rules alert about the important condition or state changes. At the Choose Rule Type step of the wizard, select Rule for specific conditions or state. Click Next and select the necessary rule condition. Available options depend on the alarm type. For the full list of alarm rules, see Appendix B. Alarm Rules. 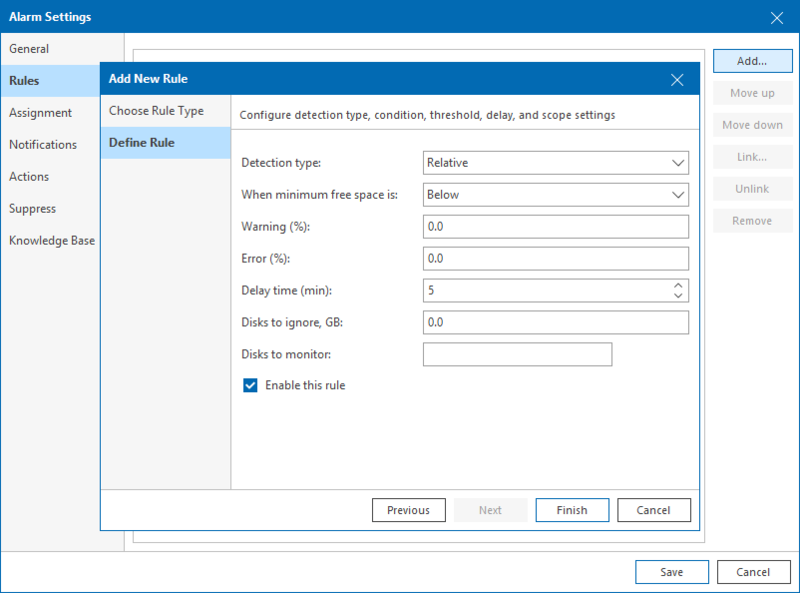 At the Define Rule step of the wizard, specify conditions (or other settings, as applicable) for the alarm rule. Repeat steps 1–7 for every state-based rule you want to add to an alarm.